I was pleasantly surprised to see my painting, Pile Up, published in the Federation of Canadian Artists magazine for Sept/Oct 2010. 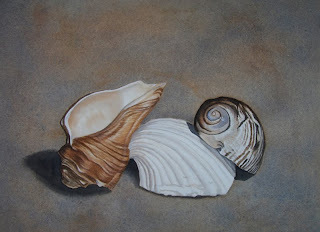 My painting was chosen for the Still Life Show which featured some truly amazing paintings. One of my favorites from the show was Mary Conley's "Can You Canoe" which won the Award of Excellence. I actually made it down to the show and just stood in front of it in awe for at least 15 minutes!